911 Restoration Los Angeles is qualified to successfully remove water from your home, preventing extensive water damage. The El Monte flood remediation crew uses the latest water extraction and drying technology in order to make sure your property is safe again. Our professional water removal specialists offer 24/7/365, same day service, so you never have to wait for help during an emergency. Our flood cleanup crew can help with all disaster restoration services in El Monte, including pipe bursts and toilet overflows. Our headquarters will dispatch IICRC certified professionals to your home right away, enabling them to get to your home within 45 minutes. Our El Monte technicians are licensed, insured, and bonded to protect your property against the worst scenarios. We know how to protect you against a sewage backup or mold infestation. Our flood cleanup professionals know all of the most innovative techniques for cleaning and sanitizing your home after a water disaster. Call our water damage El Monte specialists when you find a leak in your home so we can begin pumping out water right away. Zack knows how important it is to provide fast, expert water repair, which is why we always put the customer first. Even in Los Angeles where rainfall is limited, homeowners are still at risk of experiencing water damage from a broken pipe, a loose washing machine hose or a faulty shower pan. This can all impact the structure of your home, as well as possibly cause mold if the water is not extracted immediately. We want you to feel safe when we arrive on the scene knowing that we will do everything to turn your home into a healthy living space again. 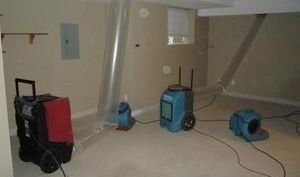 Once you call our leak remediation operatives we will give you a free water damage estimate. Once we have determined the damage, we will walk you through the entire home restoration procedure, ensuring that you always know what the next step is. Zack makes sure that his team has the most competitive prices in the field, that way everyone can afford his services. We also work with all insurance companies in order to help our customers as much as possible. Call our water damage staff today and we will file your water damage claim for you and assist you in getting the most coverage from your homeowner’s insurance company. We will file your paperwork and talk to your insurance reps, as well as help you with anything else you need assistance with. When you need help with water cleanup, call the water damage El Monte team with 911 Restoration Los Angeles to come rescue you from the flood. We want to give you and your family a fresh start.